Nearly two and half centuries old, these poignant words still inspire. Because of their freedom-focused vision, we are able to exercise rights as individuals living in a free country. Even better, we are able to enjoy a different kind of life, liberty, and happiness—for free—because Jesus paid the price. These verses give us reason to rejoice in our dependence on the Lord. Being saved by God’s grace gives us access to abundant life. Accepting Jesus’s sacrifice on the cross gives us freedom to commune with our Creator. And seeking kingdom-focused things makes our hearts happy. We have so much to celebrate! 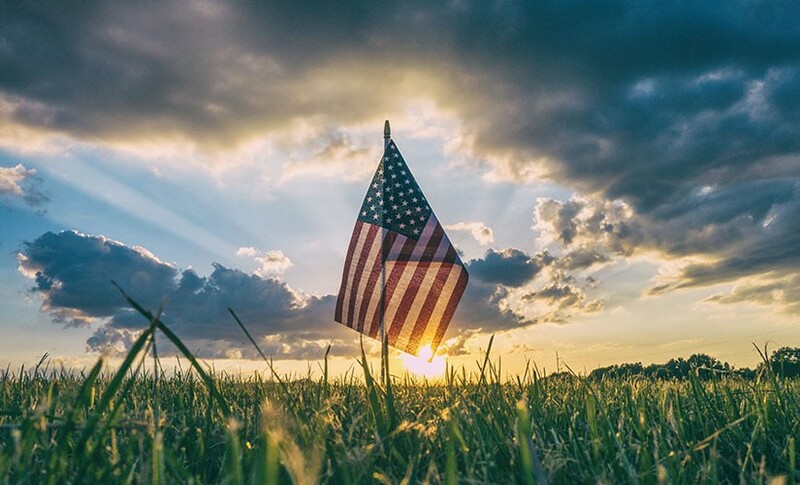 Not only do we live in a nation founded on freedom—but we have the freedom to rejoice in the blessings of life, liberty, and happiness as children of God. Let’s declare our dependence on him in all things—today and always.